AUTOMOTIVE classifieds site Carlist.my has launched a Response Management System, describing it as the first such platform in the market. The Response Management System was designed to ensure car sellers advertise, monitor and manage their ads better, faster and smarter, to sell more cars, the company said in a statement. Many classified sites have claimed to revolutionise the car seller’s advertising process, but sellers are still presented with the time-consuming task of individually typing all the information they hope will help them sell their cars, while receiving little to no feedback on the performance of those ads. With Carlist.my’s Response Management System, all these struggles are eliminated, making selling cars online what it should be – rapid, mobile, and smart, Carlist.my claimed. “The Carlist.my Response Management System is a result of over RM5 million (US$1.6 million) in investment including market research, technology and marketing over the last six months,” said Damon Rielly (pic), chief executive officer of its parent company iCar Asia. “It is not only the fastest and most accurate way to advertise a car online, but also allows car sellers to understand how their advertisements are performing, who is enquiring regarding their cars, and how to get more potential buyers interested so sellers can sell their cars faster,” he claimed. 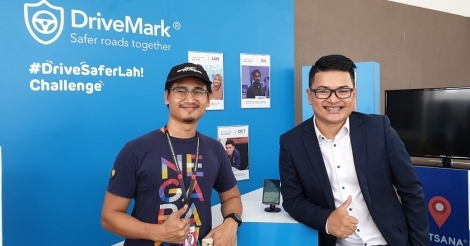 With nine out of 10 Malaysians starting their car purchase process online, car sellers have had to evolve their business to meet this growing trend, Carlist.my said. “Through our interactions and research with car sellers, we realised that the industry needed a system that would make it easier for car sellers to make the full transition online – not only to advertise but also in learning how to take advantage of the nuances of selling through the digital realm, such as real-time tracking, monitoring and management. “We believe that the Response Management System meets those needs and empowers car sellers with the tools they need to make quick and accurate decisions based on precise data to drive their business forward,” Rielly said.